Salinometry is the accepted method for validation of CTD probes and for transferring units of conductivity from IAPSO standard seawater to a conductivity sensor. Internationally adopted as standard method of salinometry, the Autosal ® technique has been utilized for more than 30 years. It is well standardized and reliable laboratory method of salinometry with very precise setting and control of temperature. However, limitations of the Autosal temperature setting at 1 to 2 degrees below room temperature and requirement for a sample thermal equilibrium to room temperature creates a discrepancy between the conductivity of the seawater measured by a CTD in situ and by the Autosal in lab. 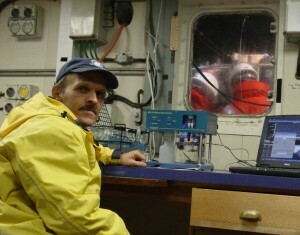 Differences in temperature during these measurements and the significant time delay between CTD sampling and the sample salinity measurement can produce a significant difference in the practical salinity computation. 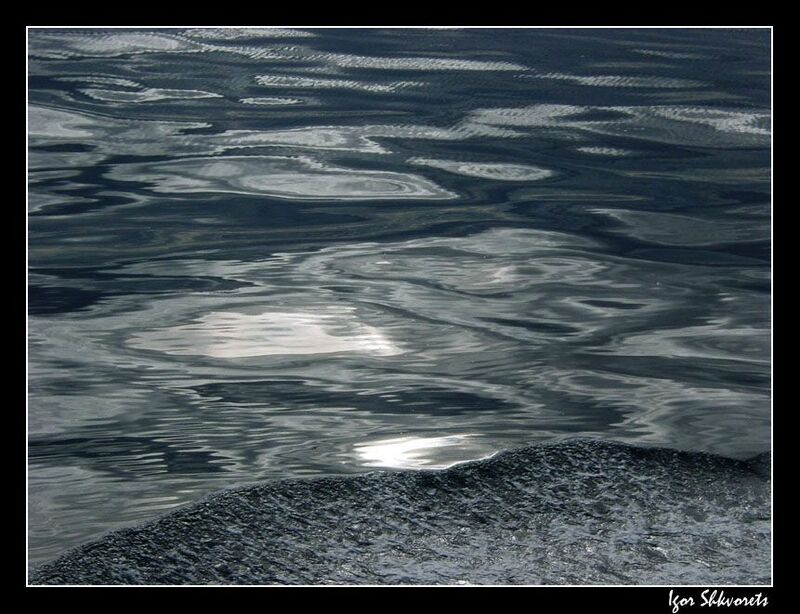 This difference is observed in waters with different than standard (reference) seawater ionic composition, with different concentrations of dissolved gases and with the amount of suspended organic matter. The discrepancy occurs when in fact a high accurate CTD probe performs more accurate conductivity measurements than the existing Autosal salinometry technique. In practice, on-board salinometry and the evaluation of the CTD data becomes a challenging procedure on cruises and results in a cumbersome evaluation and acceptance of CTD data. Usually, the issue is not due to the performance of the CTD itself, but rather to uncertainties in measured in situ and in lab seawater samples conductivity ratios. 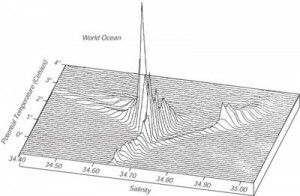 Harmonization of the measurements between a CTD and a salinometer is an important factor in practical salinity measurements and in a first order requires resolve the limitations of the salinometry methodology. I propose a complementary method for on-board salinity measurements. Using an inductive dual cell ratiometric salinometer – the Micro-salinometer MS-315e (developed by RBR Ltd.) – in a thermo-bath (or even a refrigerator) set to the level of deep-water temperatures, a salinometry operator can perform direct Rosette-to-Salinometer salinity measurements, without waiting for the sample warming to obtain laboratory temperature. This method of the “thermodynamic salinometry” (compared to the “thermostatic” Autosal technique) not only provides fast CTD cast data validation, but also serves as a more sophisticated method of practical salinity measurements without loss of the original physical-chemical composition of the seawater samples. Testing of this method in the North Atlantic and North-East Pacific waters shows that the measurement of the deep water salinity samples at low temperatures results in a considerable difference in value of the practical salinity of samples in comparison to standard method. What is also important, the MS-315e design provides measurement of the conductivity ratio of any natural saltwater sample in a dynamic temperature range (from 0°C to +35°C) in comparison to a reference solution, maintained at the same temperature. 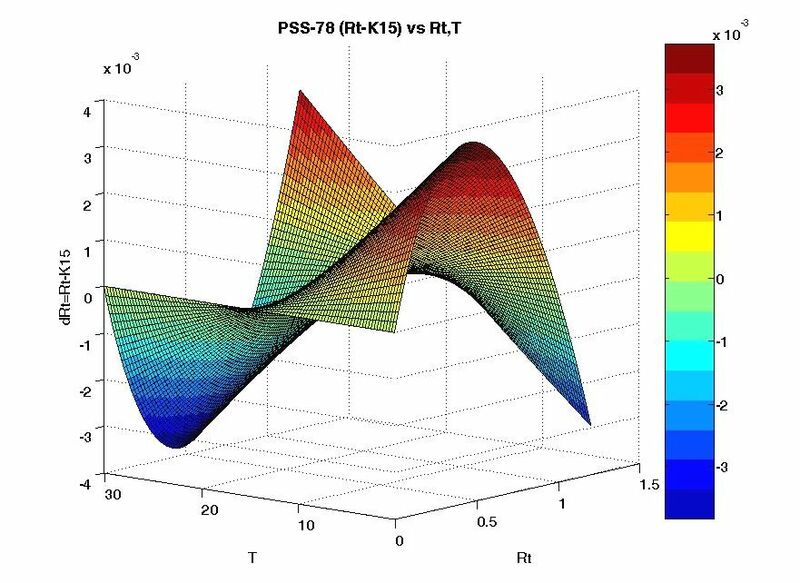 Measured differences in ΔRt vs T can be used as corrections for eliminating the effect of non-ideal compositions of natural seawater and harmonizing the PSS-78 for a variety of natural salt waters. I am looking forward to challenge standard Autosal technique onboard any research vessel, equipped with the Autosal/Portasal. Researchers, who are interested in testing a new salinometry method, verification of compliance of their study area natural seawater samples to the PSS-78, welcome to contact me with your proposals. Let’s do it differently, let’s do it right!